The main portion of the portrait is complete, now for the fun stuff. 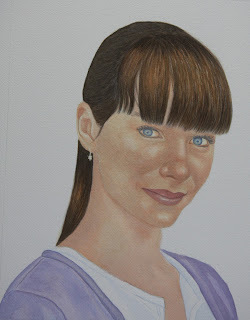 Cleaning up edges, softening her features and using glazes to build up touches of color here and there. Last but not least I will do a harmonizing flesh tone glaze to hopefully bring everything together!